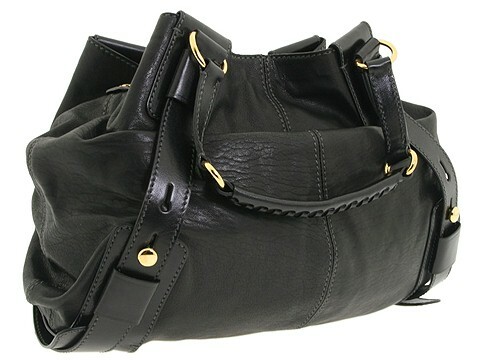 Take your style to the next level with this swanky D&G shoulder bag. Made of palatial leather. Holds your wallet, sunglasses, personal technology and a small cosmetic case. Dimensions: 22 wide across the bottom, 12 wide across the top x 5 1/2 deep x 13 high. ; Dual shoulder straps. Shoulder drop: 8 length. Protective dust bag included. Slouchy design. O-ring details. Inside dog leash closure. Satin interior lining with a back wall zip pocket. Made in Italy.